Posted April 21, 2019 at 3:09 pm . 0 comments. Massdrop has the Tamron SP 150-600mm f/5-6.3 Di VC USD G2 for Canon for $949.00. 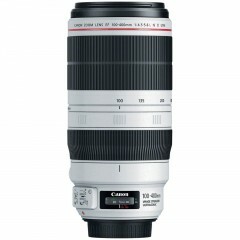 This is the lowest price seen yet for this “G2” version of the lens, save $450 vs. the regular price. Free shipping, and Massdrop‘s site indicates that this comes with Tamron’s 6-year warranty. 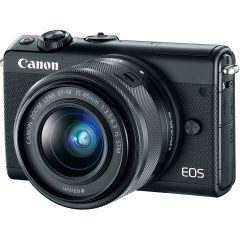 Canon and Nikon mounts are available. This deal is available for 6 days only. Posted April 20, 2019 at 9:10 am . 0 comments. Unfortunately, we’re experiencing an e-mail delivery issue for CPW price notifications to some e-mail domains (notably @me.com and @mac.com). We’re working to get this addressed as soon as we can. In the interim, if you’d like to move your notifications over to another e-mail address, please use the contact form and let us know both the existing and new address. If you’re not receiving e-mails and wondering if you’re affected, please use the contact form. You can also follow us on Facebook, Twitter or via RSS for the latest deal posts. Posted April 19, 2019 at 8:37 am . 1 comment. 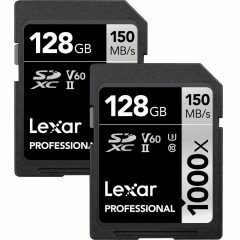 It’s a price war over memory cards — Adorama has lowered their price on a 2-Pack of Lexar 128GB Professional UHS-II SDXC to $46.99. Free shipping. 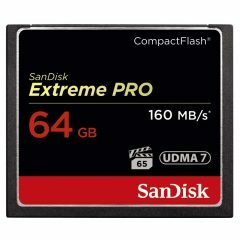 That’s only $23.50 per card for this UHS-II / V60 / U3 / Class 10 rated card with a max read speed of 150 MB/s and a max write speed of 90 MB/s — an even better deal than yesterday’s B&H special. Posted April 18, 2019 at 9:36 am . 3 comments. B&H Photo Video has a really hot deal a 2-Pack of Lexar 128GB Professional UHS-II SDXC for only $53.99. That’s only $27 per card for this UHS-II / V60 / U3 / Class 10 rated card with a max read speed of 150 MB/s and a max write speed of 90 MB/s. Tremendous deal!